Around the time of Baselworld 2019 there were some non-exhibiting brands who announced new releases, but it can be hard to be heard above the roar of either the SIHH or Baselworld fairs if you’re not at them. Or even if you are, sometimes. One thing I noticed was that there were a number of fair and non-fair releases of bronze-cased watches, proving that the bronze age is still with us. As a nod to this, we thought that we would do a series of posts on a selection of these new pieces, but also including bronze models launched at SIHH 2019 and about which we have not yet written. Hopefully these posts, covering a variety of brands and price points, will be useful for those looking to buy a bronze piece this year. There will be no special ordering of these posts, it’s purely alphabetical. There’s clearly still a demand for this material if brands are still using it. 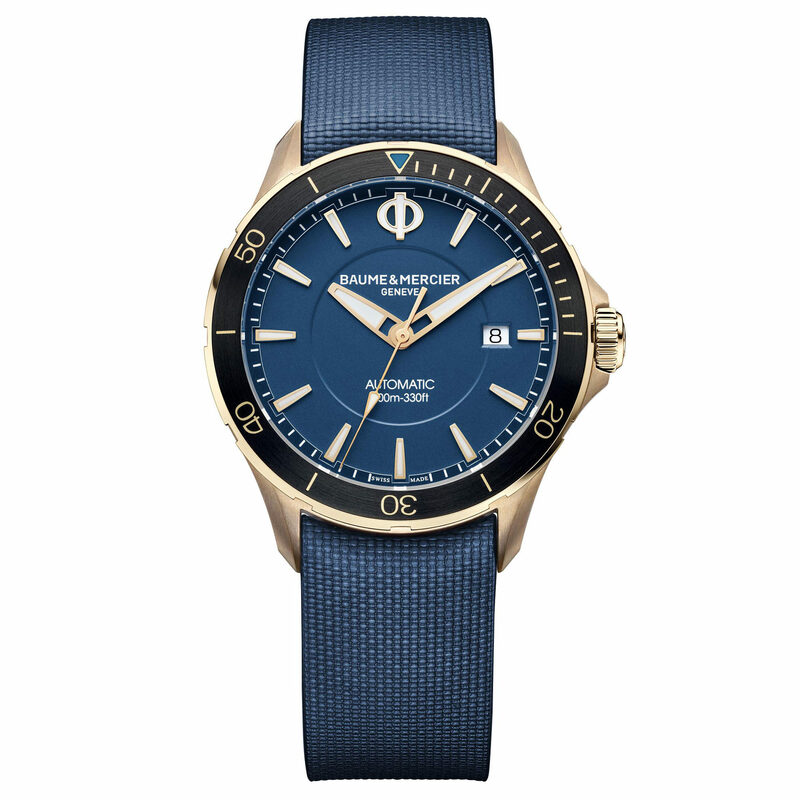 First up, we have an offering from Baume & Mercier. Launched in 2017 in stainless steel models, the Clifton Club collection is now joined by a bronze version. Which I admit that I did not see coming at all. Available in four dial colours (black, brown, blue, green), the specifications are already familiar from the earlier Clifton Club models. The polished and satin-brushed case has a diametre of 42mm and a thickness of 10.3mm. Its water resistance is 100m. Beneath the engraved Club caseback is the reliable automatic automatic Sellita SW2601 (base Sellita 200-1) with thirty-eight hours of power reserve, quick date, and stop seconds. The Reference 10500 is the black dial variant, which comes on a black calfskin strap. The brown-dialled Ref 10501 comes on a brown nubuck strap, as does the green Ref 10503. The blue dial is the Reference 10502, and it has a blue rubber strap. The RRP for these new bronze Clifton Clubs is 3,030 CHF/ 2,300 GBP.